It also “just so happened” (!!!) 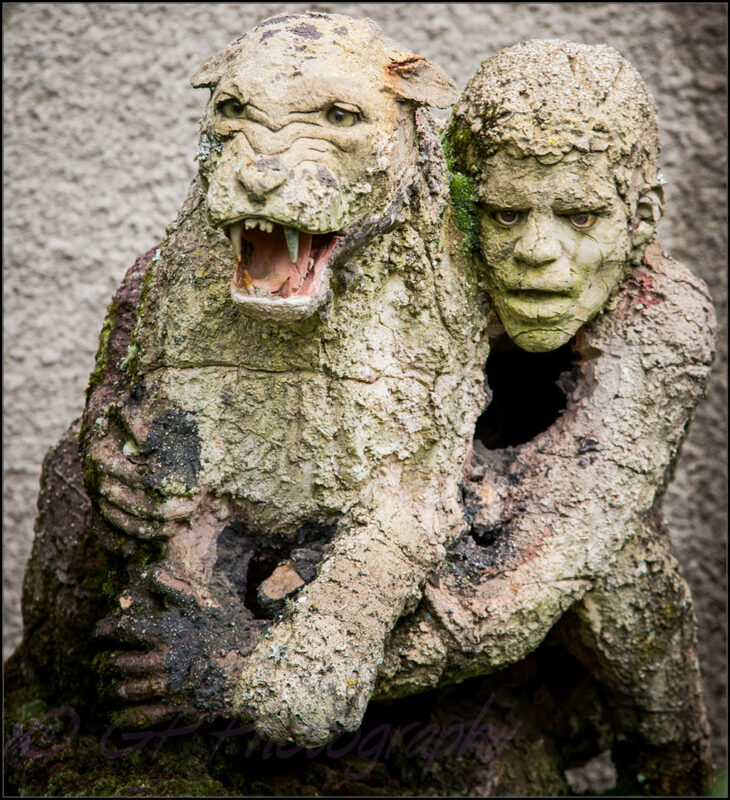 that “Embracing Inner Terror”, created while living in Johannesburg, found an ideal exhibition spot at the end of the long, paved section of the front garden. Through the years I came to realise that people from all spiritual points of view were able to understand or associate with the message of this sculpture group: the age-old theme of light and darkness in human existence. Once again, because this sculpture was cast in acrylic resin, it is slowly decaying … also alluding to the comparatively short, fading nature of this light/darkness interplay while we are manifested in human form. But the current (it frequently changes) state amazes …. the dark space under the human being’s chin that depicts the darkness in a literal sense … currently this space is filled with leaves of a vibrant orange black eyed Susan!!! Click here Castle in the Mist 5: Embracing Inner Terror to view the fourth of seven short videos about the construction of the castle and other smaller sculptures).